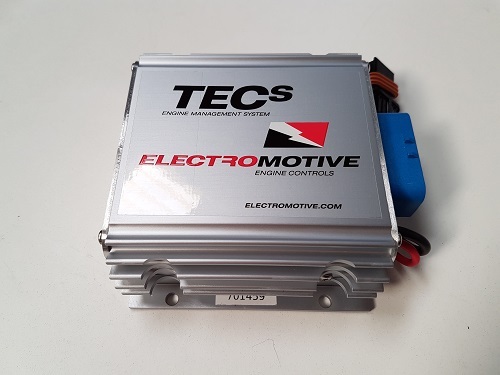 The TECs incorporates all the advanced ignition circuitry Electromotive has become known for, along with the solid foundation for fuel delivery that make up our Total Engine Control systems. All wrapped neatly into a compact package that has everything a 1-, 2- and 4-cylinder performance engine requires – without all the trappings that run up the bill for features you just don’t want or need. This package is capable of running up to 4 high-impedance injectors in our popular “phased sequential” as well as “full sequential” configuration. It can run 2-wire Ford and import-style Idle Control Valves, and has a number of configurable input/output channels for running cooling fans, auxiliary fuel pumps, or boost control solenoids. It will even allow you to input vehicle speed for MPH-based functions. Our engineers have spent countless hours designing and engineering the TECs to be a system that meets the needs of the 4-cylinder racing community, and they’ve been proving the worth of the TECs since its release, with numerous national championships in many different forms of racing already secured.